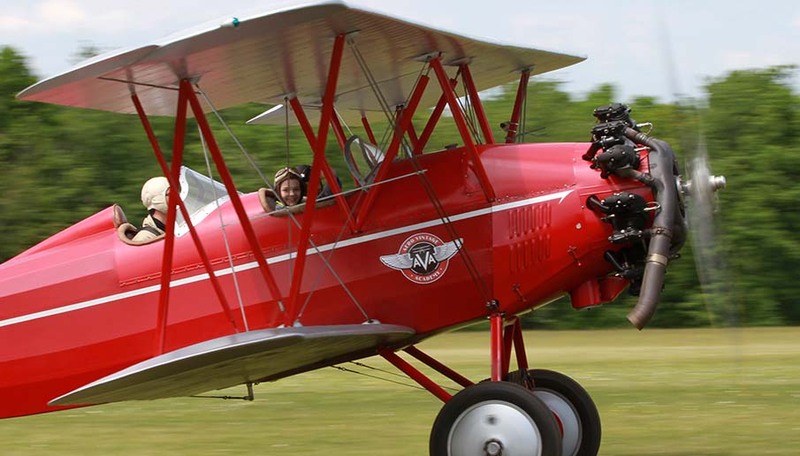 All year long, by reservation, come and take off on one of Aero Vintage Academy's planes. Four devices are at your disposal to discover the earth from the sky. 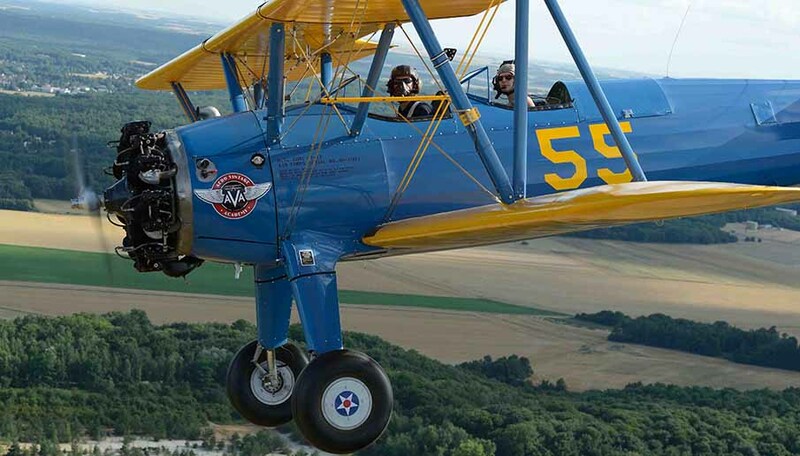 Alone, as a couple or a family, a drive above the South of Paris will delight you and for the most daring, come and put your head upside down. 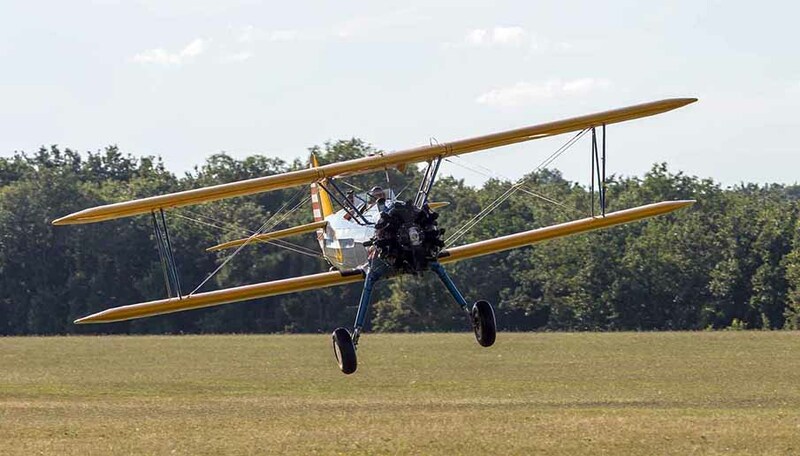 Four vintage aircraft are to be discovered for flights of 15-20 minutes or more. 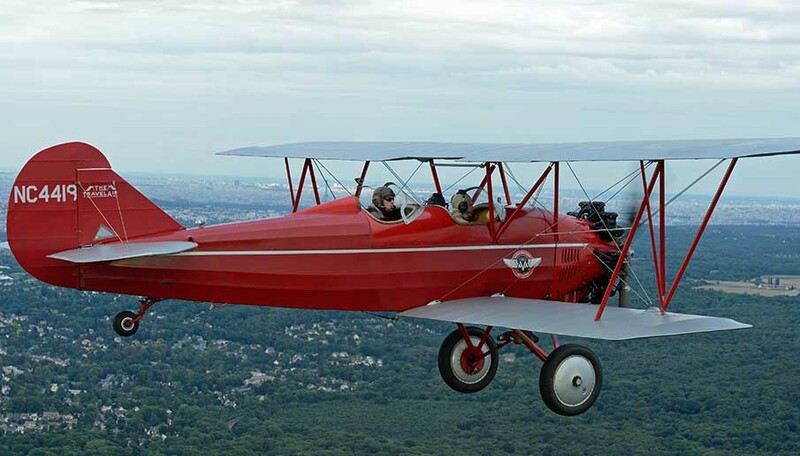 plane, to discover in duo. less than five years. 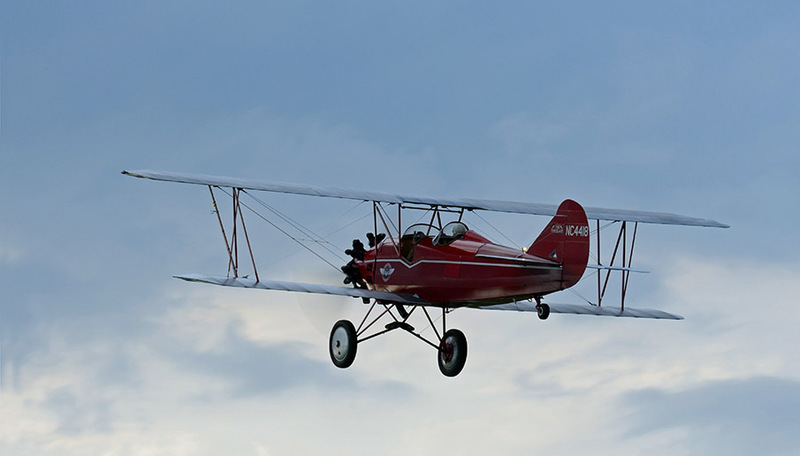 The firm was bought by Curtiss Wright in 1931. 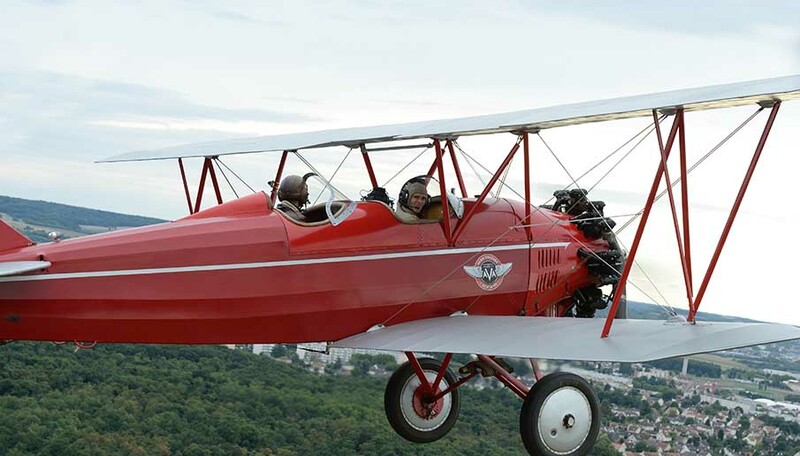 This Travel Air was built in 1928. 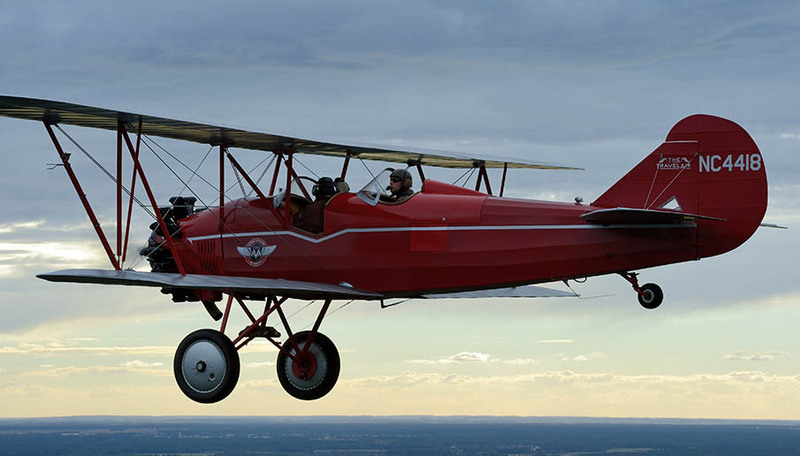 Aero Vintage Academy, bought it in California in 2012 where it performed first flights. 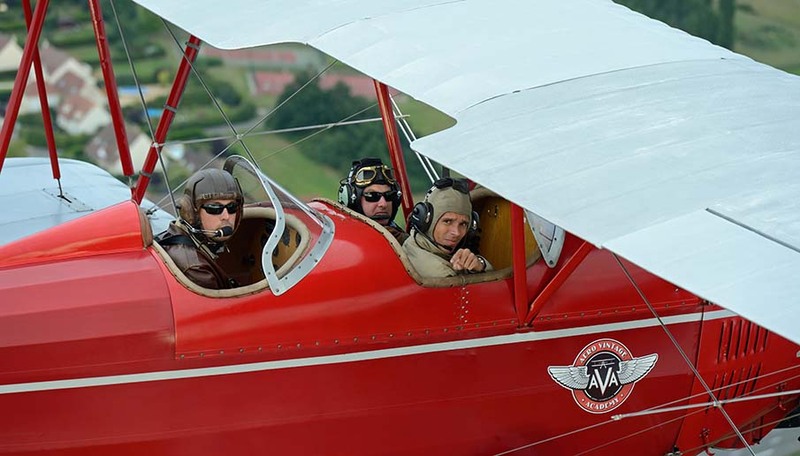 Arrived in France, at the beginning of 2013, he returned to his main function and offered flights to discover the Gâtinais. 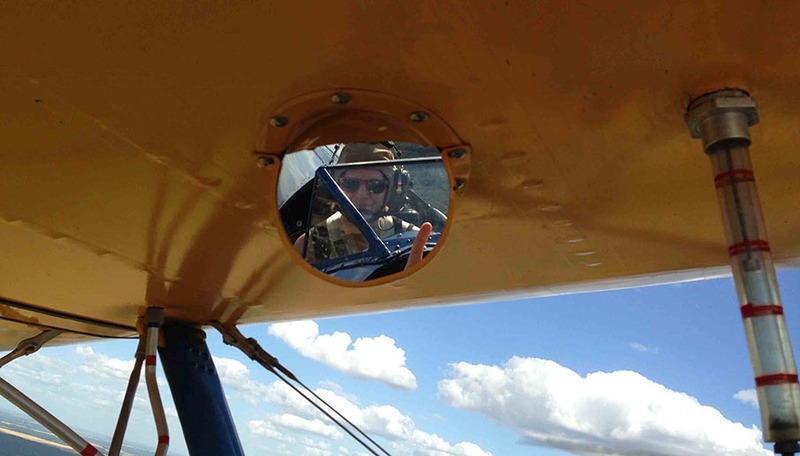 aerobatics, hair in the wind ! 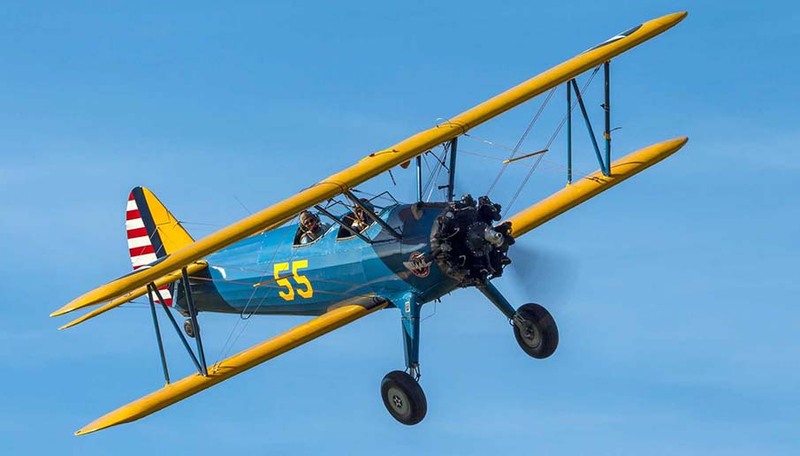 The Boeing Stearman is a mixed-construction biplane dating back to the 1930s (the wings are made of wood & covered, while the fuselage is made of steel tubes, covered with canvas). 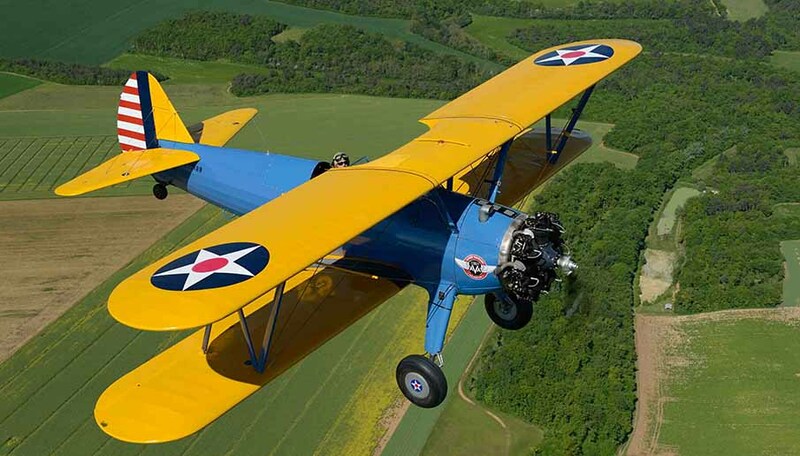 The first Stearman was built in 1933 by the Stearman Aircraft Company. 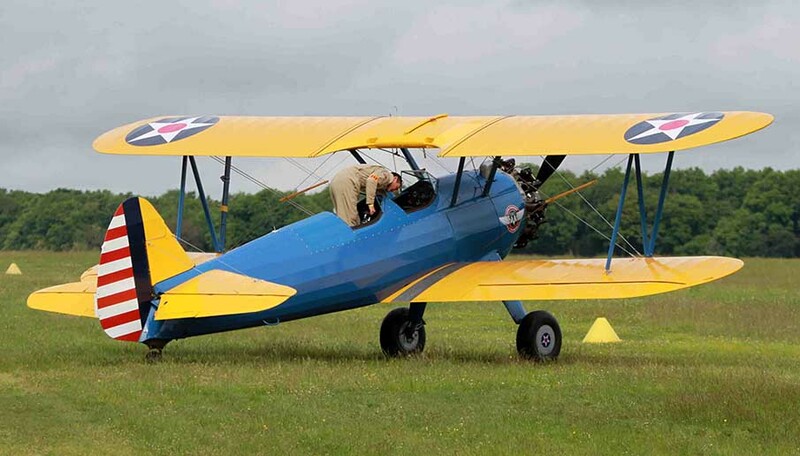 While in 1934, the US Army Air Corps was looking for a new basic training aircraft, the Stearman was introduced. 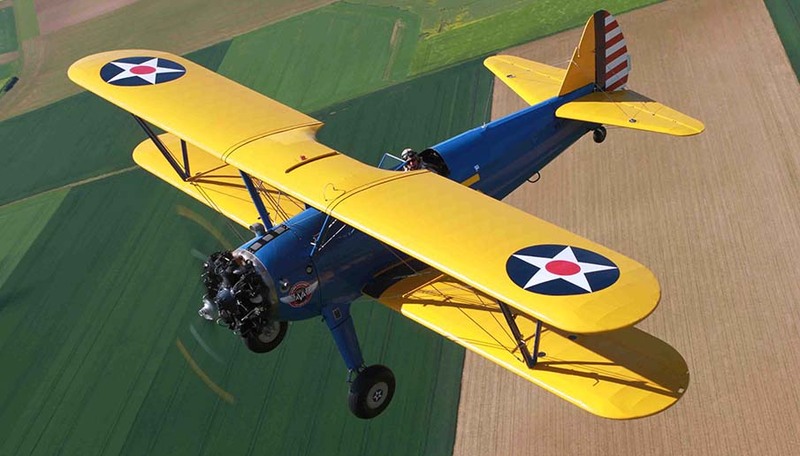 In that same year the Stearman Aircraft Company was bought by the firm Boeing. 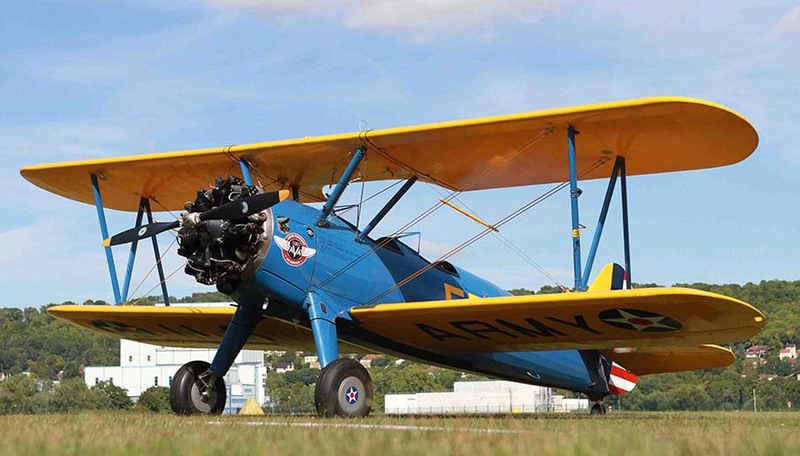 The aircraft meeting the search criteria of the US Army Air Corps, it immediately ordered 26 copies. The US Navy bought 61 copies at the same time. 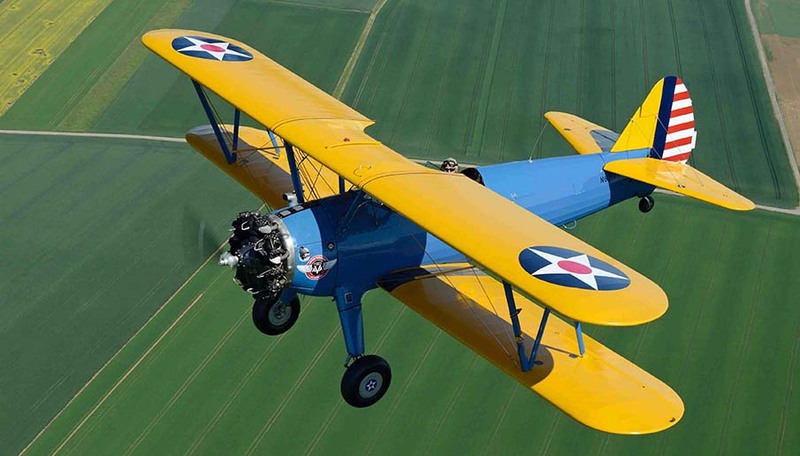 The Boeing Stearman was a plane widely used in the United States at that time since only in 1940, 3510 copies were produced! 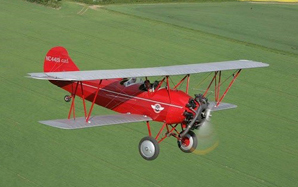 In all, 3200 aircrafts were built for USAAC and 4575 for the US Navy. 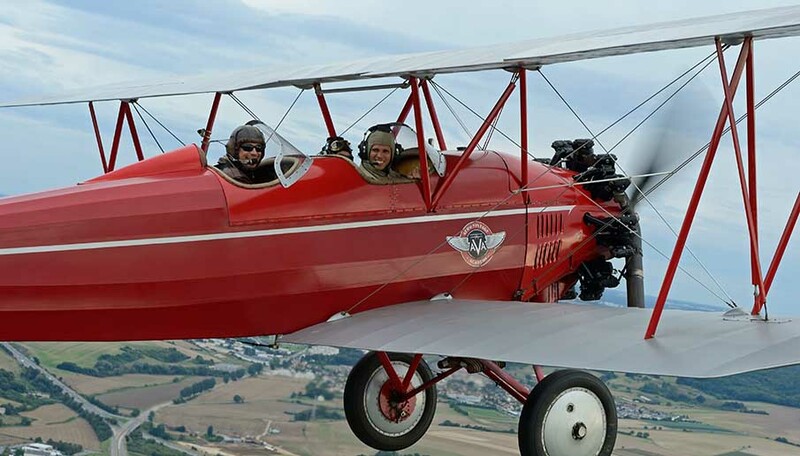 They served primarily for the basic training of military pilots. 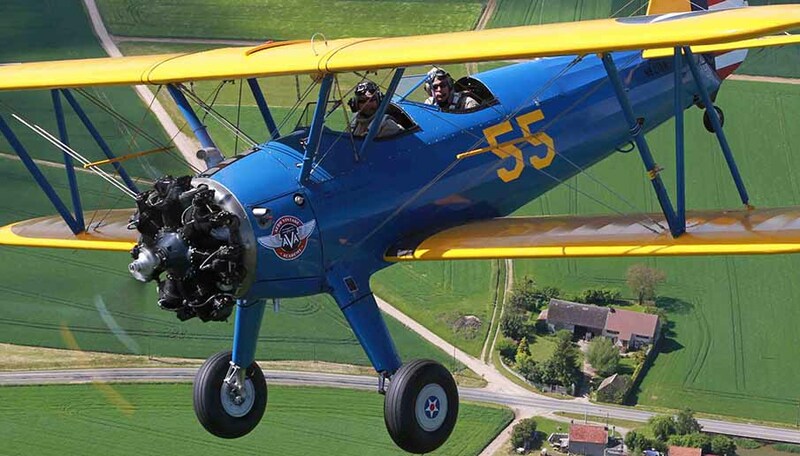 At the end of the Second World War, a large number of Stearman were sold to the world. 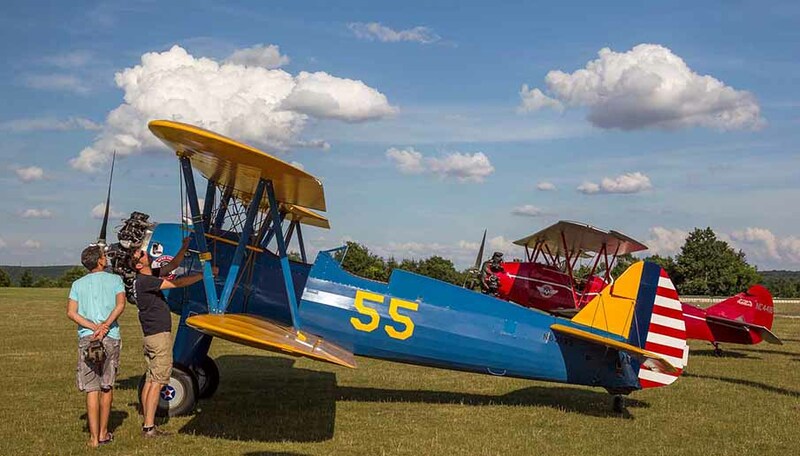 On the airfield, 6 Stearman are currently based, 2 of which are on display at the museum. 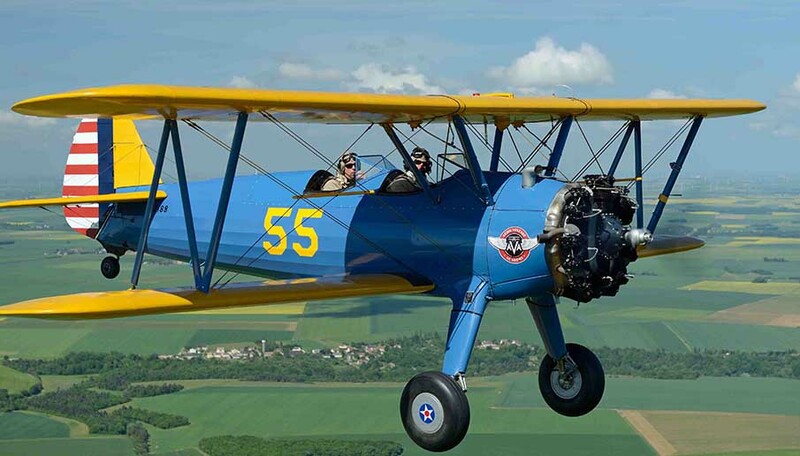 The F-AZJR sports the traditional colors of the NAVY while the F-HIZI sports those of the US Army in the 1940s. 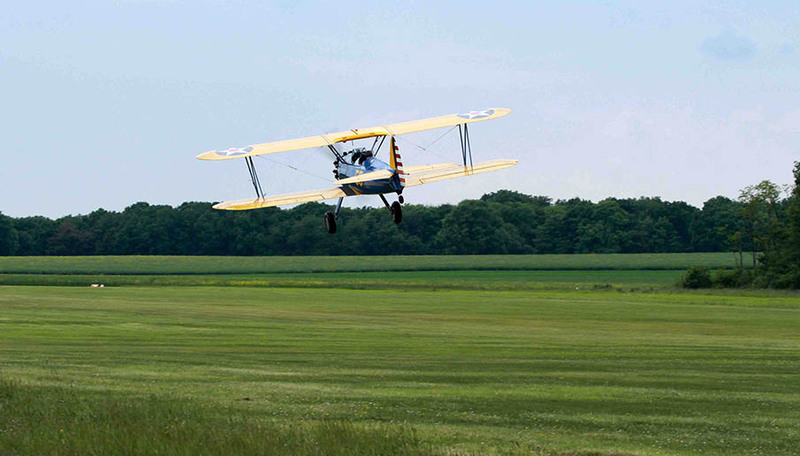 flown on Stearman). Also used in the Algerian conflict. 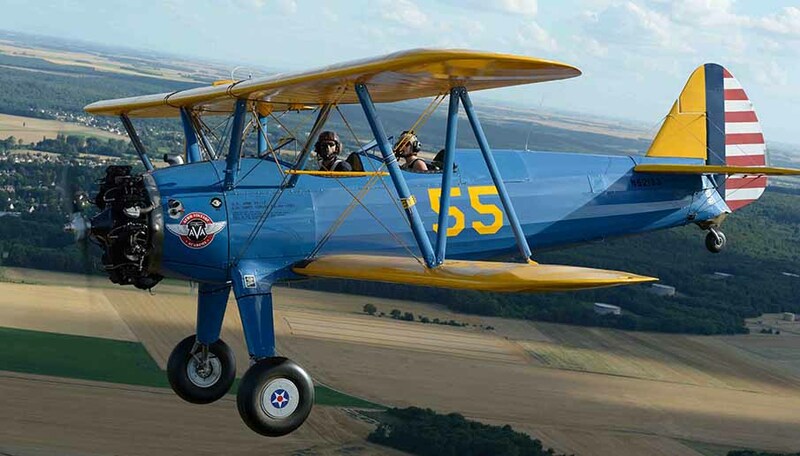 The T-6 descended from the prototype NA-16, which flew for the first time, April 1st, 1935. 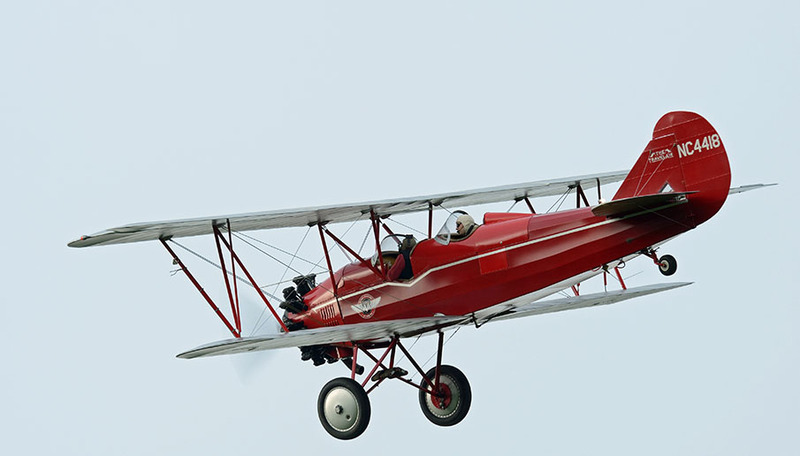 The USAAC then ordered 180 copies and the US Navy 77. The largest order was placed by the Royal Air Force, who bought 400 copies. 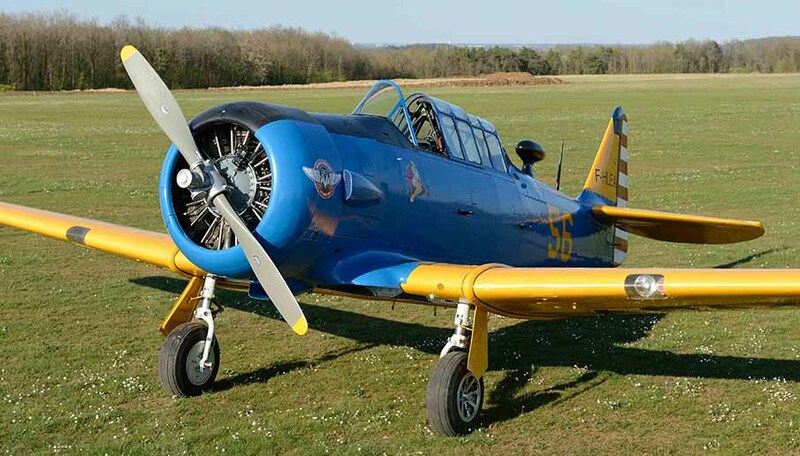 Subsequently, the device designation changes to AT-6 (advanced trainer). 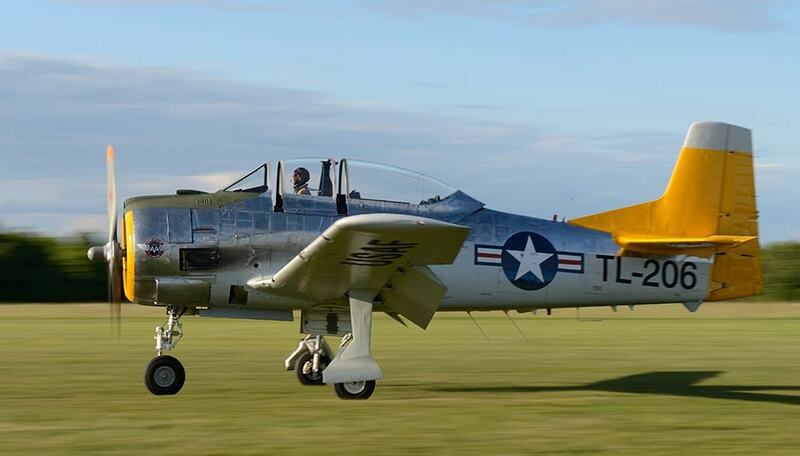 The AT-6 was distinguished from its ancestor by the square shape of its winglets and rudder. 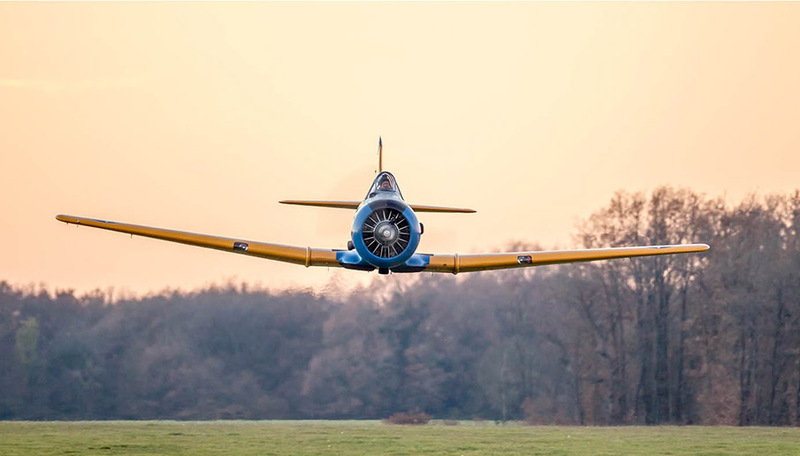 The AT-6A, powered by a 550 hp Pratt & Whitney R-1340-49 Wasp. 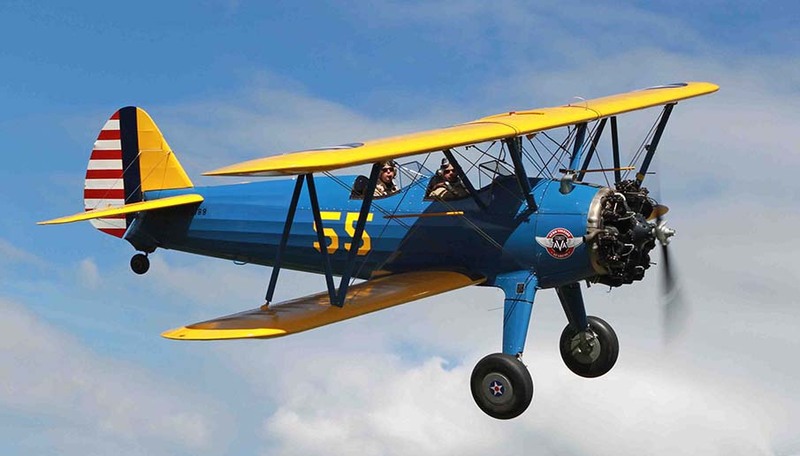 was used by the USAAF (1,549 ex) and the US Navy (270 ex) under the name of SNJ-3. 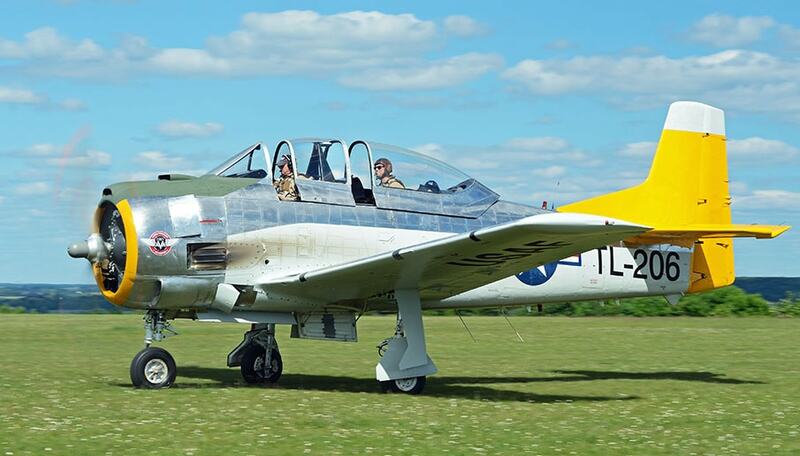 It was followed by the AT-6B for air gunner training, with a 30-machine-gun rear post. 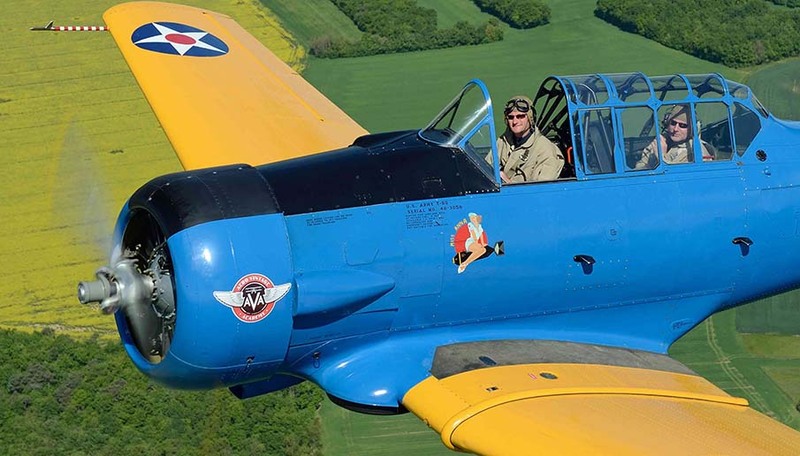 In Canada, Noorduyn Aviation also manufactured a version of the AT-6A. Many other versions were produced with different engines and armaments. 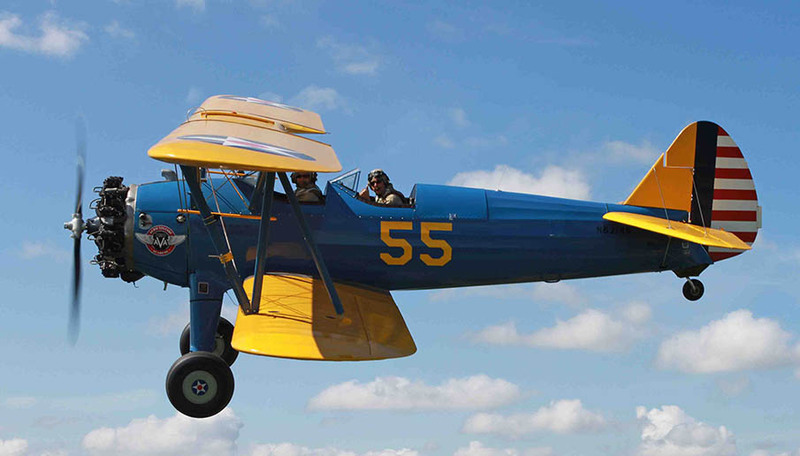 Countless air forces have used the T-6 as a training aircraft for beginners. 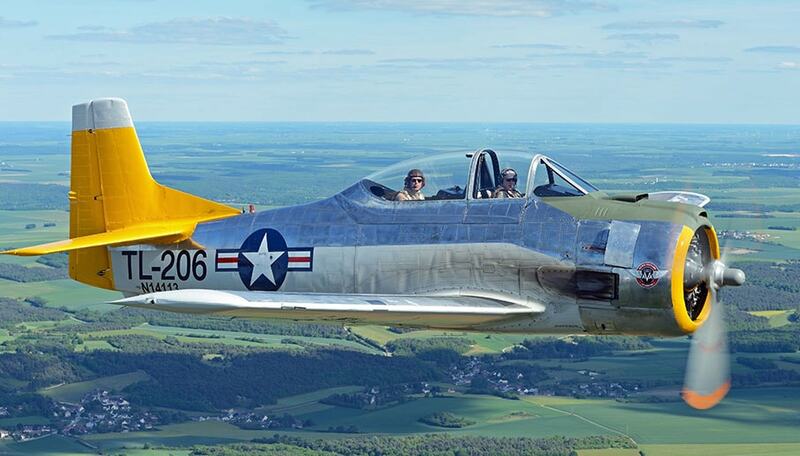 During the Korean War and even Vietnam, the T-6s were used as an advanced air control aircraft, to guide fighter-bombers to their ground targets. 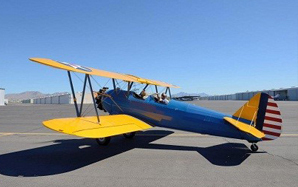 They were also used by the Air Force as guerrilla warplanes during the Algerian war and for elementary pilot training. 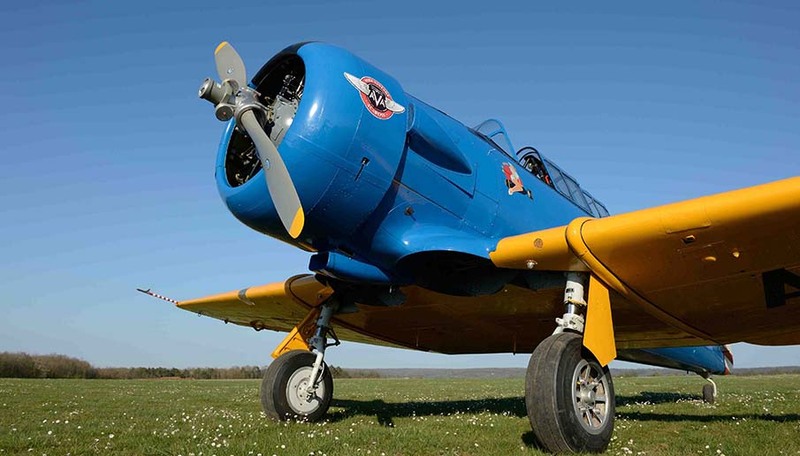 French Naval Aviation has also used the T-6 as an advanced school aircraft. 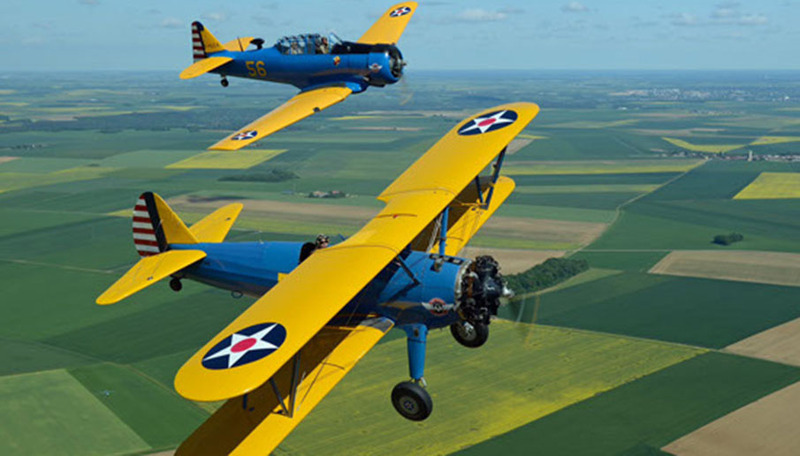 About 18,000 Texan / Harvard were produced, all versions combined. 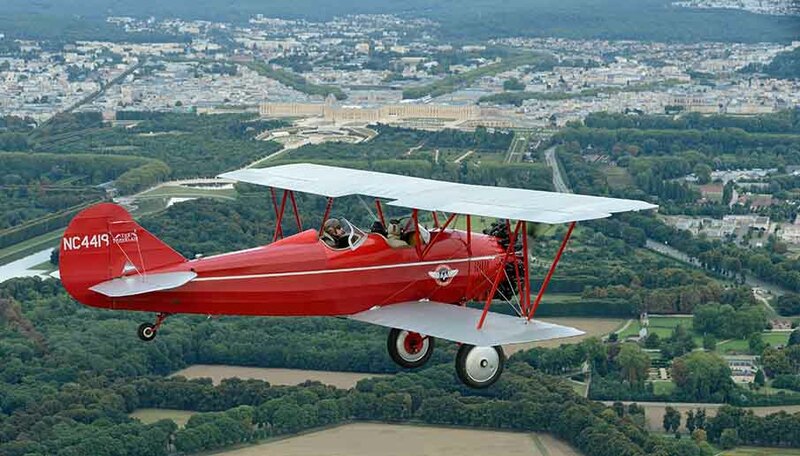 The T6 F-HLEA from the Aero Vintage Academy (Ferté-Alais) was built in 1949 and was used by USAAC. 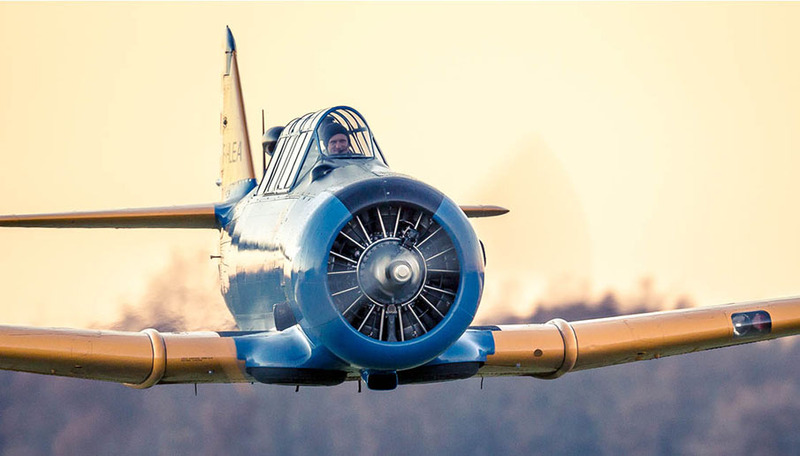 Following agreements between the United States and Spain in 1951, he was part of a hundred T-6 received by the Spanish Air Force as training planes. 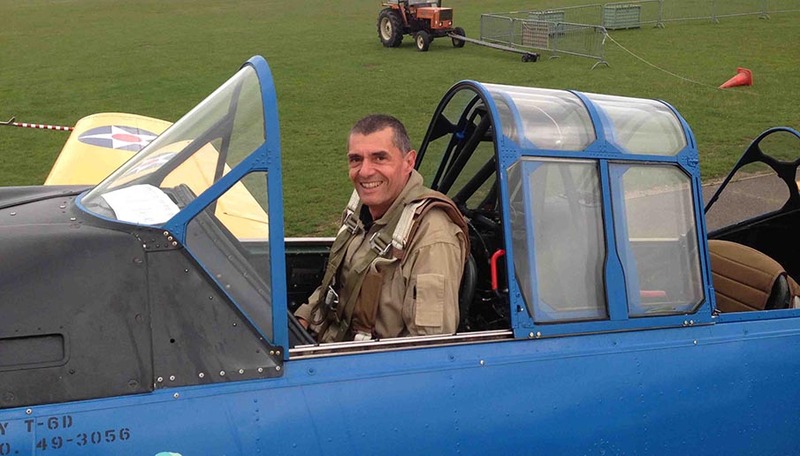 After his military career, he was exposed in the Madrid Air Museum. He arrives in 2000 at La Ferté Alais. 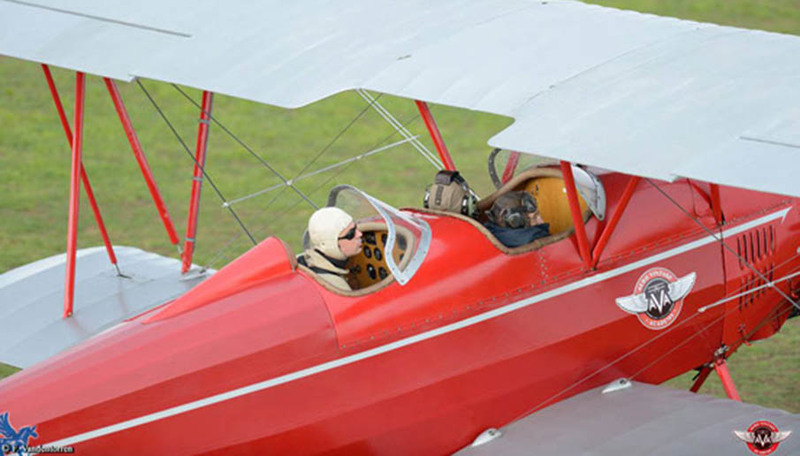 Classified then as an aircraft of collection, it will be necessary to wait until 2012 so that it finds a certificate of standard airworthiness following a major maintenance. 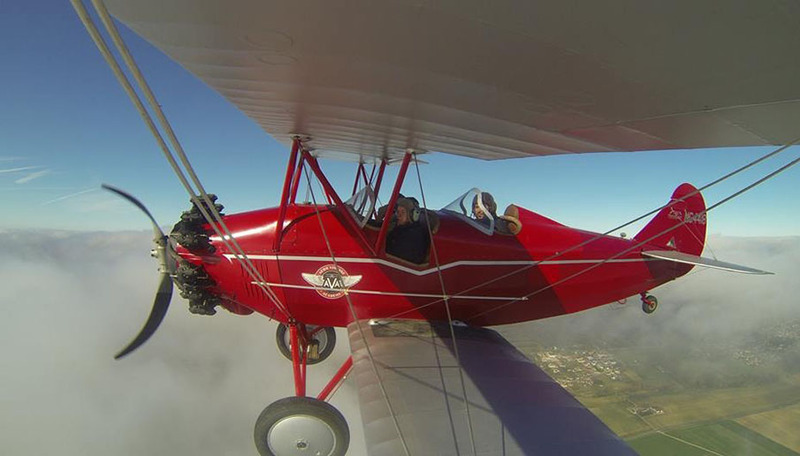 Today, in the fleet of Aero Vintage Academy, it allows to discover the joys of air and flying. 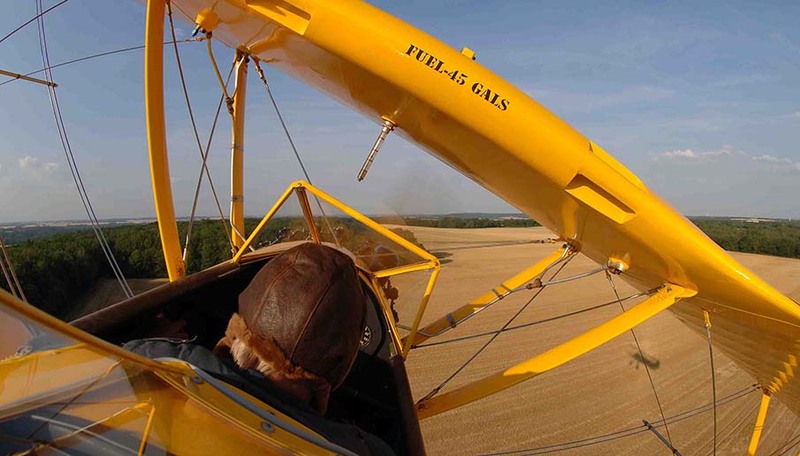 planes ever built, with more than 1400hp! 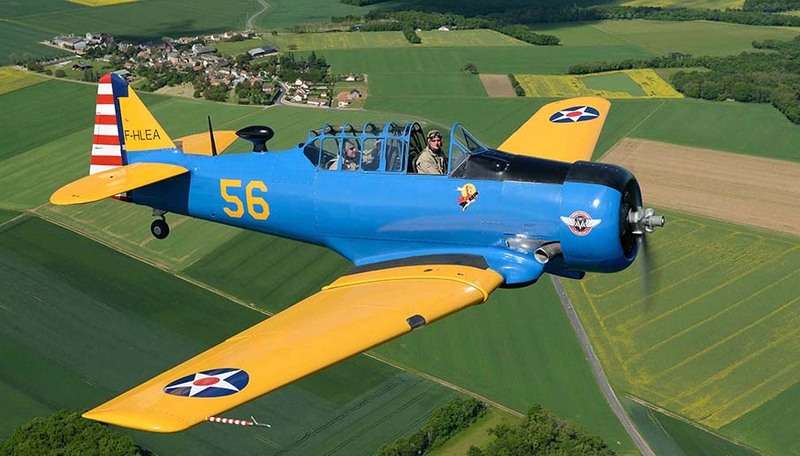 In 1948, the US Air Force wanted to replace the brave North American T-6. 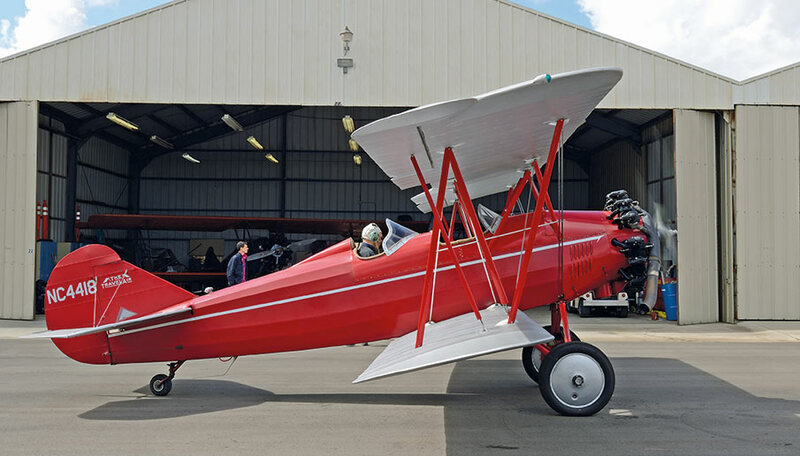 Project NA.159 North American was retained and a contract for two prototypes initially called XBT-28 (Basic Trainer), was signed. 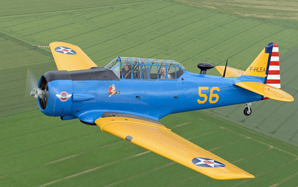 The North American T-28 Trojan was designed as a basic training aircraft and flew for the first time in September 1949. The first order, from the US Air Force, was completed in 1950 and delivered to the Air Training Command between 1950 and 1953. 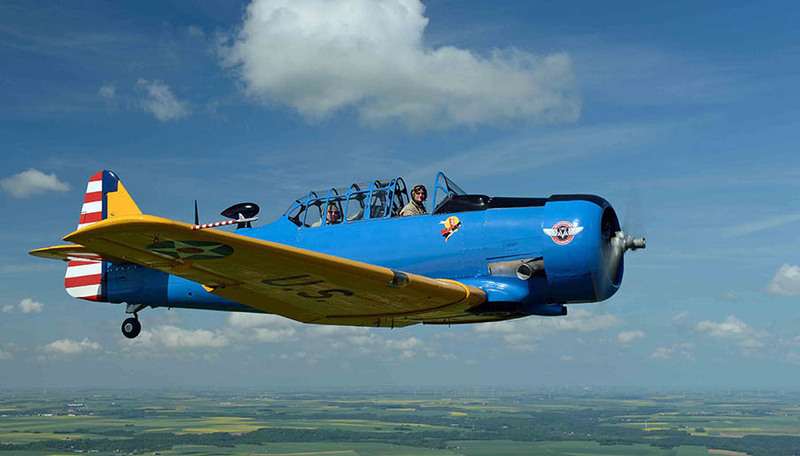 In the midst of the expansion of jet aircrafts, the United States was already considering training jet pilots early in their training and did not plan any training aircraft such as the T-28. 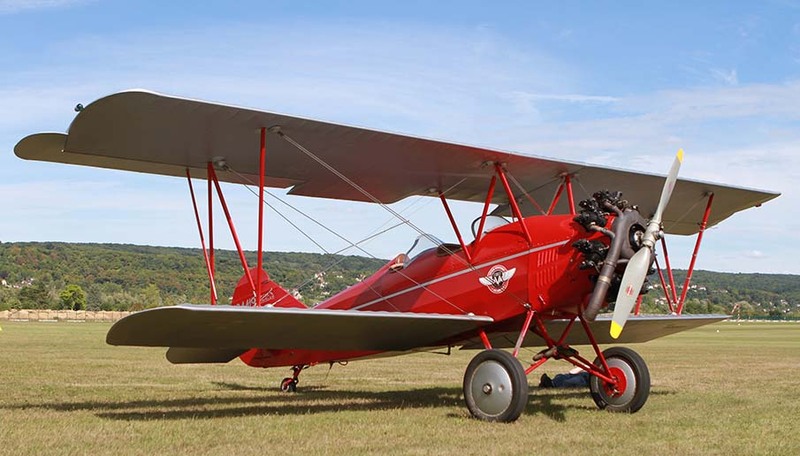 But the aircraft had a mass that characterizes it more as a weapon than training and was equipped with a modern tricycle train. His performance allowed 1194 copies in the USAF before being retired in 1956. 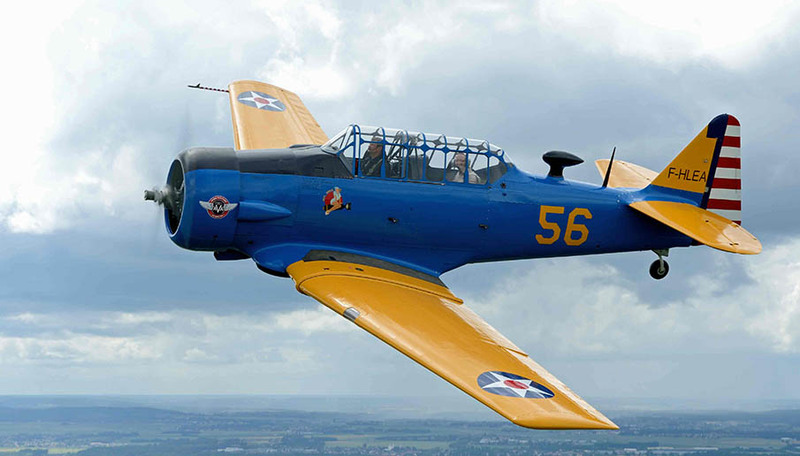 The US Navy also ordered T-28 for training its pilots. 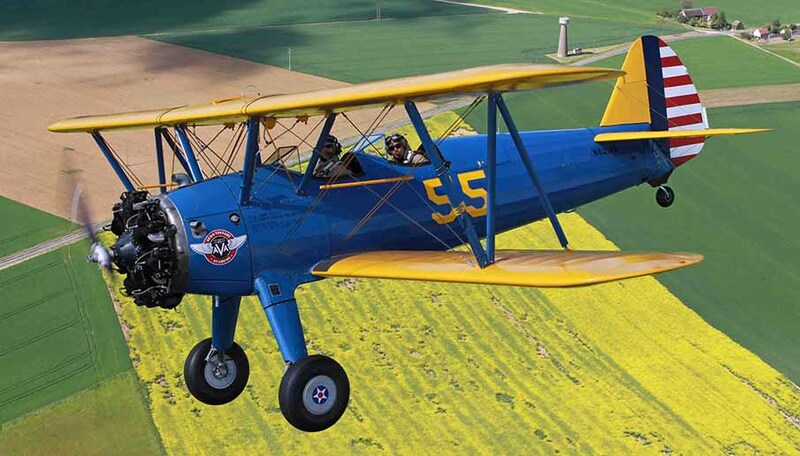 The T-28B received a reinforced cell and a more powerful engine as well as a three-blade Hamilton propeller. 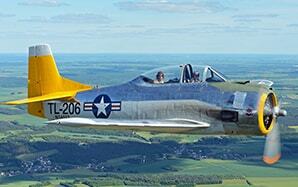 The T-28B made its first flight on April 6th, 1953. 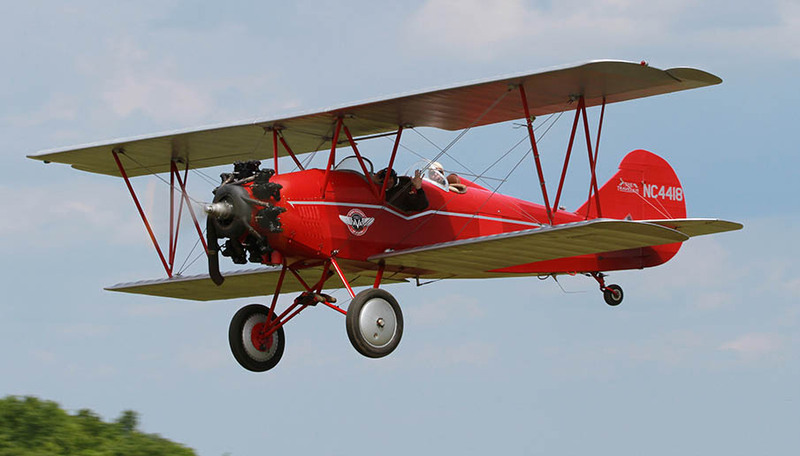 It was produced at 489 copies and remained in service until the mid-80s. Then appeared the T-28C: a lengthened version of 55 cm, equipped with a landing gear and a smaller diameter propeller: 299 copies built between 1955 and 1957. The need for an economic tactical support aircraft was noted by US forces stationed in South Vietnam. The anti-guerrilla T-28D were therefore equipped with machine guns, bombs and rockets. Between 1961 and 1969, North American converted 321 T-28A into a "D" model. 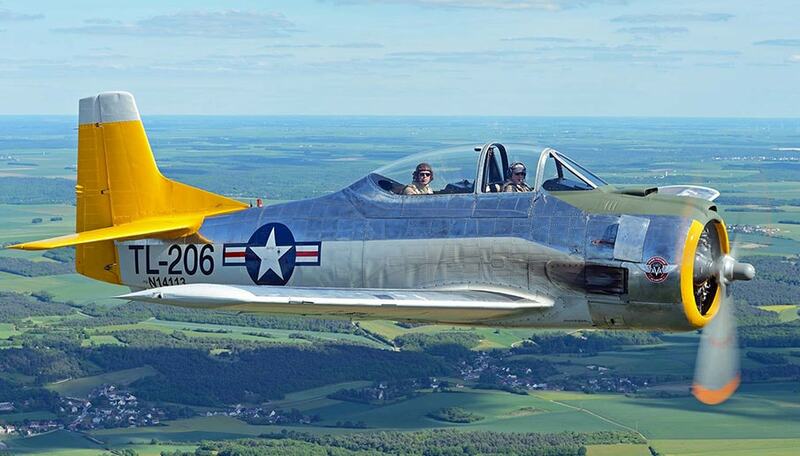 The French Air Force ordered 135 copies of a special version of the T-28D. 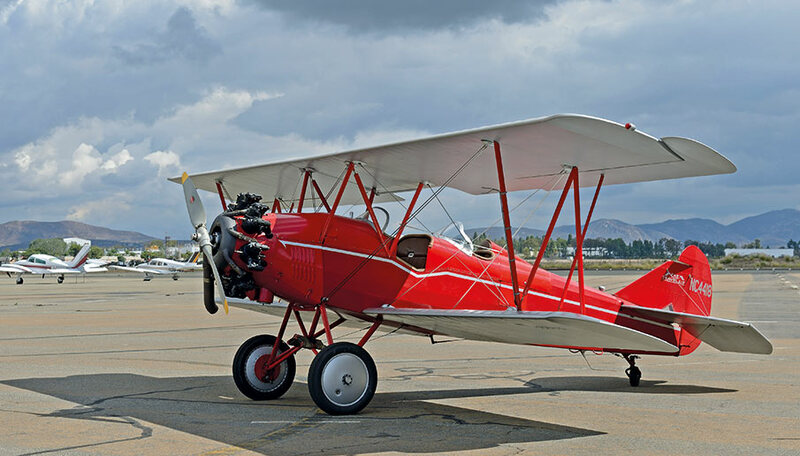 These aircrafts entered service in the early sixties under the designation Fennec and were used mainly during the war in Algeria. The T-28 thus became a formidable firing platform and had offensive capabilities comparable to those of World War II fighter planes. 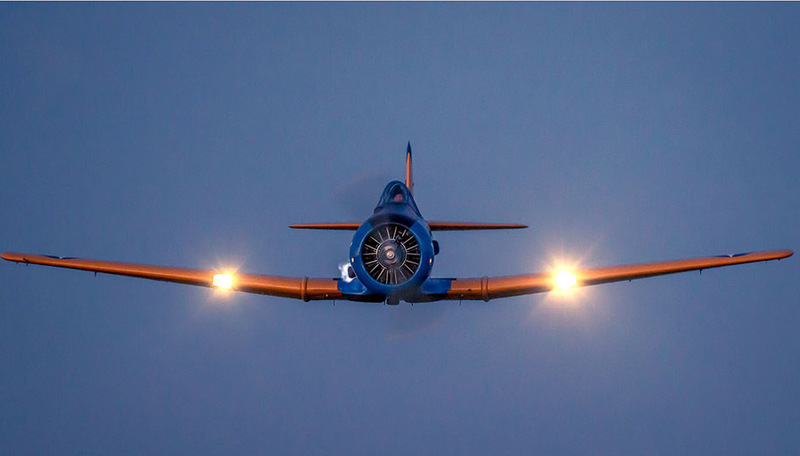 Finally, towards the end of the fifties, the Pac-Aero transformed T-28A by equipping them with Wright engines of 1300 hp or 1425 hp for civil use. These two last models were named Nomad 1 and 2 according to the motorization.